Republican presidential candidate, former Massachusetts Gov. 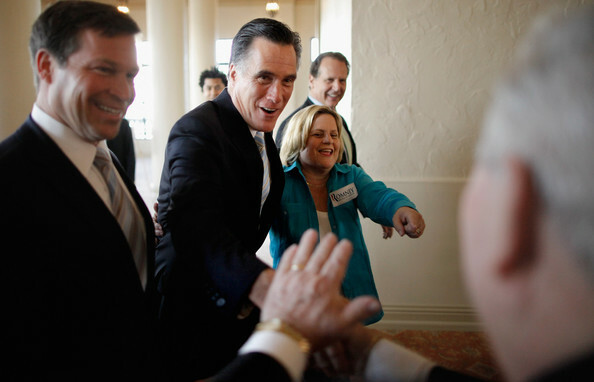 Mitt Romney (C) is accompanied by (L-R) Rep. Connie Mack (R-FL), Rep. Ileana Ros-Lehtinen (R- FL) and former Congressman Lincoln Diaz-Balart (R-FL) as he arrives for a US-Cuba Democracy political action committee event January 25, 2012 in Miami, Florida. Romney is campaigning in Florida ahead of next Tuesday's state primary.